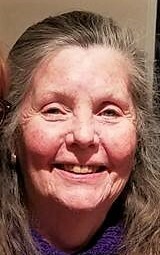 Joan T. Nelson (nee Murphy), 80, of Sparkill, passed away at home on Saturday, January 19, 2019. Beloved wife of the late Richard J. Nelson. Cherished mother of Joan T. Nelson and her partner Glenn Westman, Richard J. and wife Debi, Kevin and the late Kris. Adored grandmother of William, Jace, Aidan and Lola. Dearest sister of Jeremiah and wife Sandy and the late Mary Wilson, Kathleen Linarello, Patricia McNichols and James Murphy. Joan was a dental assistant for the Rockland County Health Dept. for many years. She was a parishioner of Our Lady of the Sacred Heart Church and belonged to the Pearl River Senior Center. A Funeral Mass will be celebrated Thursday 11:30 AM at Our Lady of the Sacred Heart Church with interment to follow at Frederick Loescher Veterans Cemetery, New Hempstead. Visiting hours are Wednesday 5-8 PM at Pizzi Funeral Home, 120 Paris Ave, Northvale (201-767-3050). In lieu of flowers, donations in Joan’s memory may be made to United Hospice of Rockland or the cancer charity of one’s choice. What a great lady. Glad I had the opportunity of meeting her and the family. My condolences to the family. Sorry for your loss. RIP Mrs. Nelson.